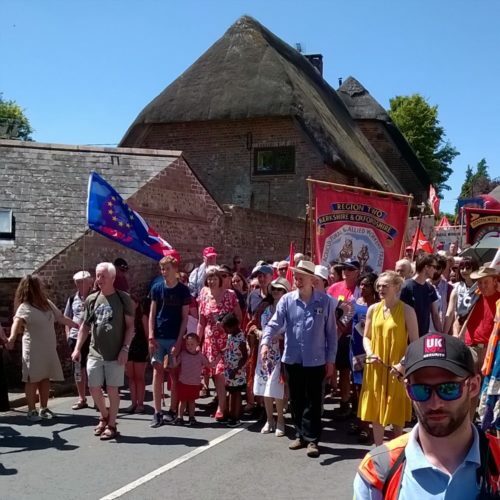 The Tolpuddle Martyrs Festival and Rally in July remembers the martyrs by celebrating trades unionism and labour politics with three days of music, literature, drama and film culminating in a memorial service, speeches and parade of banners. This year the procession was lead by Labour leader Jeremy Corbyn and actress Maxine Peake who has voiced an audio-visual tour for Shire Hall Historic Courthouse Museum in Dorchester. This month marks the 185th anniversary of the Friendly Society of Agricultural Labourers. Today the name is all but forgotten yet it is a landmark in the development of the trades union movement. Formed to right a vindictive wrong it ended up costing its founders almost everything. Towards the end of October 1833 the men we now know as the Tolpuddle Martyrs joined some forty others beneath the great sycamore tree on the village green to hear two union delegates advise them on how to organise in an attempt to stave off yet another wage cut. As summer’s warmth gave way to the first chill of autumn, well they might have shivered had they known what the coming months and years were to bring. Their leader was George Loveless, 36 years old, a ploughman and lay preacher. Married with three children he was self-educated and is thought to have read the work of co-operative pioneer Robert Owen and knew about the efforts of trade societies in urban areas to protect workers by securing wage agreements and fixing standards. At his suggestion the Tolpuddle men formed the Friendly Society of Agricultural Labourers. Members paid a shilling to join with a weekly subscription of a penny. At meetings in the home of Thomas Standfield, who was married to George’s sister Dinniah, they swore an oath of allegiance to the group in front of a painting of a skeleton to remind them of its solemnity. For most of the previous two years the farm workers had been reasoning with local landowners and farmers to protect pay. Although they secured an agreement, in the presence of the village vicar Dr Thomas Warren, to be paid the same as others in the district while their fellows were paid ten shillings a week Tolpuddle men received nine. When that was reduced to eight they appealed to a bench of magistrates chaired by the former High Sheriff of Dorset, James Frampton of Moreton House at which Dr Warren denied an agreement had been made. The magistrates ruled that the men must work for whatever their masters saw fit to pay them. That was immediately reduced to seven shillings a week and within weeks they were told it was to be cut to six. England’s last remaining serfs had been freed by Elizabeth I, but following the Enclosure Acts agricultural labourers in the early 19th century still worked for subsistence wages and were typically bound to their labours by tied housing. The spread of religious dissent through Methodism stirred political unrest and although trade societies had enjoyed some success in securing wage rises to keep pace with inflation, fearful of such levels of organisation, the government had passed a series of Combination Acts preventing collective bargaining. These were repealed in 1824 then partially restored the following year, but trades unions were no longer illegal as Britain’s transformation by the industrial revolution gathered pace. Still, despite the violent suppression of the Luddite protests in which factory machines were destroyed, by 1830 unrest had spread to the countryside after a series of poor harvests. James Frampton – who as a young man had witnessed the bloody fall out of the French Revolution – read the Riot Act at Winfrith on 29 November 1830 and confronted a crowd at Bere Regis. In the weeks that followed threshing machines were destroyed on farms at Woolland, Buckland Newton, Stour Provost, Stalbridge, Sherborne and Lytchett Matravers. There were further riots in Lulworth, Preston, Winfrith and Wool as well as a few isolated arson attempts. In January six Dorset men were condemned to death for robbery, but were eventually transported to Australia for seven years alongside another six also sentenced for offences resulting from the violence. George Loveless was not involved in what he later called the ‘incendiarism’ other than keeping watch over property, but although no action was taken his brother James was singled out to Frampton for his part in a riot at Puddletown. Having come together the Friendly Society of Agricultural Labourers applied for affiliation to the newly formed Grand National Consolidated Trades Union, but within days on 21 February 1834 notices signed by local magistrates were posted in Tolpuddle warning that administering unlawful oaths could be punished by seven years’ transportation. Three days later George and James Loveless were arrested with their brother-in-law Thomas Standfield and his eldest son John. All four of them worked on the same farm. Also taken in were James Hammett, who it is thought accepted arrest on behalf of his brother John, and James Brine, no relation to the Tolpuddle constable with whom he shared the name. The arrests were orchestrated by James Frampton who took them to Wollaston House in Dorchester where his stepbrother Charles Wollaston heard the testimony of Affpuddle man Edward Legg who had asked to join the union on 9 December 1833 and sent the six to prison to await trial. Charged under the 1797 Unlawful Oaths Act with causing Legg and John Lock, the son of the Moreton House gardener, to make vows in joining the Friendly Society of Agricultural Labourers the Tolpuddle Martyrs were brought to the dock in the Shire Hall courthouse on Monday 17 March 1834. James Hammett’s grave in St John’s Churchyard was given a headstone carved by Eric Gill and unveiled by Labour Party leader George Lansbury at the centenary rally in 1934. Each year guests lay wreaths here as part of the annual Martyrs Festival. The Grand Jury, which decided if the charge should stand, was chaired by Dorset MP William Ponsonby, the Home Secretary’s brother-in-law, and also numbered James Frampton, his son Henry, Charles Wollaston and other co-signatories of the notices. The Petty Jury appointed to reach a verdict was made up of 12 farmers. The judge Sir John Williams, newly appointed and anxious to please, informed the jury the safety of the country was at stake and they should find the men guilty if they believed the oath to be an obligation on the conscience of person taking it. Unsurprisingly they did and the following day the six were sentenced to seven years’ transportation. Fuelled by the emerging popular newspapers the severity of the sentences caused a public outcry and up to 100,000 people attended a protest in London just three weeks later; within months more than 800,000 had signed petitions for the release of the ‘Dorchester Labourers’. Typically ministering to the poorest members of society, Dissenters were frequently critical of the Church of England and were considered a threat to the status quo, often being persecuted as readily as overtly political organisations. Withtheir husbands gone the wives of the Tolpuddle men applied to Dr Warren for parish relief and to the same magistrates that had overseen the arrest of their menfolk. All aid was refused. Nevertheless, the London Dorchester Committee, formed as a result of Robert Owen’s Grand Meeting of the Working Classes on 21 April, immediately began fund raising for the families. Each wife received an initial £2 3d, ‘all equal alike’ and payments approximate to the wages of their husbands continued to be made until each had returned. Under mounting pressure in June 1835 the new Home Secretary Lord John Russell granted conditional pardons, which the Tolpuddle men refused, and after further pressure on 14 March 1836 all were pardoned unconditionally. 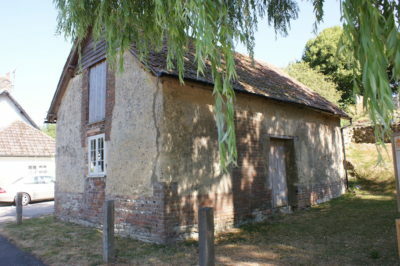 Tolpuddle’s Old Chapel. Four of the six Martyrs worshipped here and Thomas Standfield and George Loveless were trustees. It is now the subject of a £226,000 restoration bid to create a community ‘quiet space’. Built in 1818 but not used as a place of worship since 1843 it is listed on Historic England’s Heritage At Risk register and until recently was used as storage space. George Loveless arrived back in June 1837 and returned to Tolpuddle to write The Victims of Whiggeryand The Church Shown Up, a stinging attack on the Church written to Rev Henry Walter of Hazelbury Bryan. James Loveless, the Standfields and Brine came home in March 1838 and James Hammett in September 1839. The Lovelesses, Standfields and Brine all settled on farms in Essex leased for them by the Committee then migrated to Canada. 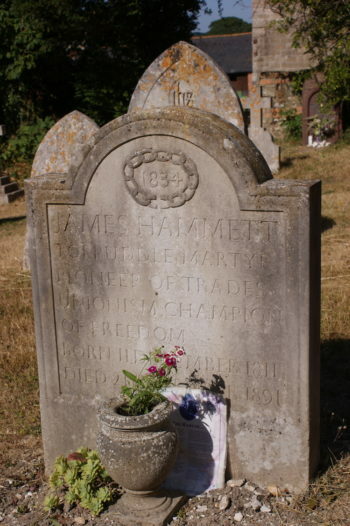 James Hammett was the only one to stay in Tolpuddle where he worked as a builder’s labourer, outliving three wives with whom he had seven children. A reluctant reporter of his own story, it only emerged in 1875 when he was honoured by the Agricultural Labourers’ Union with a gold watch and coins.He went blind in later life and before his death in 1891 moved to the Dorchester Workhouse so as not to be a burden on his family. When he was buried in St John’s Churchyard orders were given by Henry Frampton that there was to be no ‘union talk’ over his unmarked grave. Many still labour under the illusion that trade unionism began with the Tolpuddle Martyrs. It didn’t. Far from it in fact, but their story represents the moment ordinary workers, the landed gentry and the political class learned the power of collective action to drive change by peaceful means. Today, the land on which the men of the Friendly Society of Agricultural Labourers worked may still be owned by many of the same families as 185 years ago, but the people who work it are not. • Original version of article first published by Dorset Life – The Dorset Magazine. Are you the same author who wrote the article in the link below for the Dorset Life in October 2018 regarding the Tolpuddle Martyrs? From research I have not found the men ever to have met under that tree in Tolpuddle. Instead initial meetings were held at the house of George Romaine, before being held at Standfield’s, and had a couple of men keeping watch outside. Some even did not want others to know they had attended the meetings. 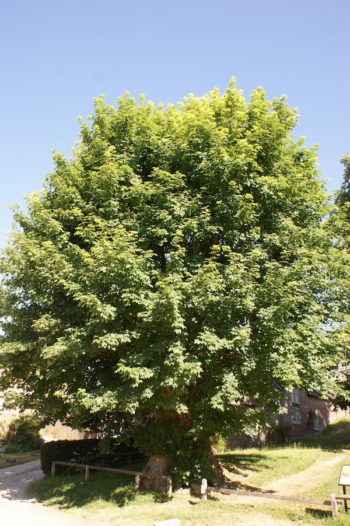 The tree would have certainly borne witness to four of the Tolpuddle Martyrs who may have paused under it after collecting their weekly wages from nearby West Farm. I think the meetings held under the tree are folklore and an image even I have been romanced by as I used that same image on the cover of my book – The Tolpuddle Six, the Hammett relative, but did not suggest it in words. From Victims of Whiggery George Loveless states “two delegates from a Trade Society paid us a visit, formed a Friendly Society among the labourers, and gave us directions how to proceed”. But nothing of meeting in a large number under the tree. However, if you have original evidence to support this theory, myself and other family history researchers (descendants and relatives of the six Tolpuddle Martyrs) would be very interested to know. Recently I had this very same discussion with the National Trust who own the land the tree is now on when I did an interview with them. James Hammett, my relative, possibly did take the place of his brother John (there were other Hammett family members on that member’s list plus many others from the village) but John Hammett was not married at the time with a baby on the way as many pieces of literature have repeated over the years, and I doubt any of the men thought it would lead to where it did. • To contact Sally email kevinmcmahon688@btinternet.com.